New York, May 10, 2010. LocatioNet Systems Ltd. The developer and provider of the amAze GPS worldwide mapping and navigation service, released today a new version 5.2 of amAze GPS that includes location sharing with Facebook friends. amAze GPS is one of the world's most popular off-board mobile phone navigation services with over 500 supported mobile phone models and millions of downloads from all over the world. In addition to the existing rich features including worldwide navigation, mapping, speed camera alerts, rich POI, weather and more, the new version 5.2 offers users also the option to share their location with a selected list of their Facebook friends via amAze GPS. A new Facebook interface was added to the mobile application to allow amAze users to view the last known address or map location of their friends. 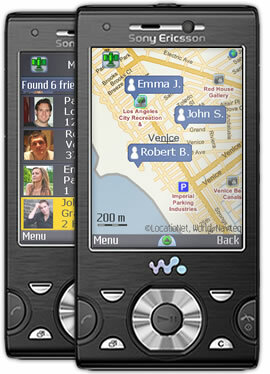 Users can get walking or driving directions to their friends' location with one click of a button. Important privacy protection mechanism allows users to select which one of their friends will see their location. In addition the users have the option at any time to disable their location sharing. Users can download amAze for free via the amAze GPS web site at: www.amazegps.com or via most of the main app stores. The Facebook interface can be found on http://apps.facebook.com/amazegps. 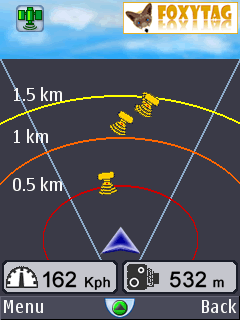 The basic version of amAze GPS that includes the Facebook location interface is free of charge. Users that wish to add the navigation feature can get an affordable annual license. amAze version 5.0 is now available for Windows Mobile phones! We are pleased to announce that version 5.0 is now available also for Windows Mobile phones. Version 5.0 has a new overall improved user interface and a brand new look and feel. The new version supports great new features including speed camera alerts, with an option to report mobile and fixed cameras, a new option to search for any location/destination by entering its coordinates and a new user-friendly shortcut menu. Existing users of versions 4.5 will receive an upgrade notification message on their next start of amAze and will be able to follow an easy upgrading process directly from their mobile handset. We are happy to announce the release of a new version 5.1 of amAze GPS that is specifically tailored to the unique Blackberry user interface. These changes are part of our on-going effort to enrich and improve the user experience. Geneva, the 16th of November 2009. Drivers using a speed camera alert system have less accidents. People using a GPS navigation system increase road safety as well. 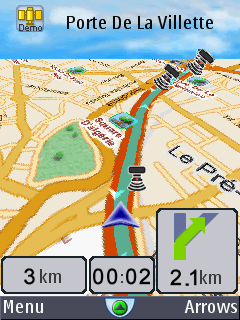 And now amAze GPS, the leading mobile navigation service, offers both functionalities for the best price in the market. FoxyTag is a worldwide speed cameras warning system working on mobile phones. The system is collaborative and self-managed: The users "tag" the speed cameras and special electronic trust engines check the quality of the posted information. FoxyTag contains today more than 35,000 fixed speed cameras, mainly in Europe, Australia, Brazil, Taiwan, USA, Canada, Russia, South Africa, Bulgaria, China, Denmark, New Zealand, Singapore, Slovakia and Israel. FoxyTag signals also mobile speed cameras and ghosts (places where there are often mobile speed cameras). Speed cameras help to slow down the traffic in dangerous areas and increase therefore the road safety. However, they cause also many accidents, typically by people that brake just before them, by fear of being flashed, even if they weren't speeding. The solution is obvious: If the main role of a speed camera is to increase road safety, then these cameras must be placed in dangerous areas and well signalized to the drivers. More and more reports (the first was http://www.foxytag.com/news/20070716.pdf) show that people having a speed camera alert system have less accidents than the others. Another fact, which is less known but still important, is that people using a GPS navigation system in unknown areas provoke less accidents. This fact becomes even more true as these systems improve every day. The new intelligent features that help you to drive efficiently, like telling to change lane in preparation of an oncoming turn, reduces hesitations and last-second dangerous changes of direction. The amAze navigation solution is typically one that meets all the requirements we expect from an efficient "co-driver". Today amAze GPS is integrating the FoxyTag speed cameras in its navigation system, further improving the driver's road safety and allowing the driver to save money by avoiding potential fines. The current version of amAze GPS alerts the driver about fixed and mobile speed cameras on his driving direction. It is enough to turn amAze on and to have a valid GPS signal for the warning system to be activated. According to Ofer Tziperman, President of LocatioNet (the developer of amAze), "We believe that the FoxyTag database and tagging system is a perfect match to the amAze GPS navigation system. The amAze GPS users can enjoy the peace of mind that the speed camera alerts provide, and they can also report additional fixed and mobile speed cameras. This is a valuable user-generated content for the benefit of all drivers. It is mainly about increasing road safety". Michel Deriaz, the FoxyTag project leader, is very satisfied with this partnership: "FoxyTag and amAze GPS share a similar philosophy: No useless and expensive gadgets, just precise data presented in a very clear way. I think that current FoxyTag users will easily switch to this nice worldwide navigation system". The amAze GPS application is available on most mobile phones and can be tested for free for one month. Chicago - October 21, 2009. NAVTEQ, the leading global provider of digital map, traffic and location data for in-vehicle, portable, wireless and enterprise solutions, today announced that LocatioNet has re-launched its amAze mobile phone-based navigation service in Europe, now using map data from NAVTEQ. Created by Israel-based LocatioNet, amAze provides turn-by-turn navigation services across mobile platforms. NAVTEQ provides the map content that drives amAze in North America and Asia Pacific. The re-launch of amAze in Europe employing NAVTEQ map data takes the business relationship global. "We are very pleased to expand our relationship with NAVTEQ into Europe," said Ofer Tziperman President of LocatioNet. "NAVTEQ's single global map specification, broad geographic footprint and rich content supports our plans to take amAze into additional regions and markets." The server-based amAze is compatible with most Java and Windows Mobile phones, with plans to launch Android and iPhone versions soon. Available languages include English, French, German, Italian, Spanish, Russian, Danish, Dutch, Hungarian, Swedish, Polish, and Arabic. amAze can be downloaded at www.amazegps.com. With a track record of over 18 years in the field of location-based services, LocatioNet is best positioned to re-define the navigation and local search market. The amAze service is based on LocatioNetâs Patented LBS middleware, best of its kind GIS engine and advanced client-server technology. amAze is provided as a fully hosted and white labeled service to mobile carriers, yellow pages vendors and other large brands and content providers. Lisbon, August 10th 2009. LocatioNet Systems Ltd., have announced today that it has teamed up with Portuguese mobile operator Optimus, and local partner Digital Minds to launch the `amAze` service in Portugal. amAze is an off-board GPS navigation service. It will be offered to the Optimus users in Portugal as a free ad-funded service. amAze is a field proven GPS navigation service designed to work on mass-market mobile phones. It offers full navigation options as well as mapping, local search, weather, speed traps alerts, traffic and more. The service is compatible with all mass market Java phones as well as Windows Mobile phones. It will soon support also the Android and iPhone platforms. The service was very successfully launched by several mobile operators around the world. "We are very happy about this collaboration" said Nuno Lopes Gama, Head of Mobile Internet & Data Services of Optimus,"We believe that amAze is the right service offered to our customers under the right business model. This is the kind of service with a perfect fit with some form of ad-funded, ad-sponsored or freemium model. This will drive adoption, creating value for our customers, advertisers and Optimus". "We are excited to be launching amAze with Optimus" said Ofer Tziperman, President of LocatioNet. "It was proven to be a daily useful application for customers and a great platform for advertisers who wish to reach out for them. The unique ad-funded business model opens up some new exciting opportunities across the value chain". amAze is a unique platform for advertisers. It offers a good exposure to advertising campaigns with an un-matched number of options for users to act upon the advertising messages. The service can also present ads based on the user`s current location, which adds an important relevancy factor and a higher click-through rates. With a track record of over 18 years in the field of location-based services, LocatioNet is best positioned to re-define the navigation and local search market. The amAze service is based on LocatioNet`s Patented LBS middleware, best of its kind GIS engine and advanced client-server technology. amAze is provided as a fully hosted and white labeled service to mobile carriers, yellow pages vendors and other large brands and content providers. ENCINO, CA - June 2, 2009. TechnoCom Corporation announces SpotOn GPS, a mobile advertising and marketing content delivery platform that provides comprehensive turn-by-turn navigation, search and mapping. SpotOn GPS leverages advertising with the utility of navigation, one of the most popular mobile applications. A hosted solution, SpotOn GPS delivers fully-customizable interactive and location-aware advertising, offers, coupons, and loyalty building promotional messages. It increases the effectiveness and reach of advertising and promotional messaging by presenting it to consumers at select times, in the right places, close to points of sale, enhancing the return on investment from mobile advertising dollars. SpotOn GPS is based on a proven platform that has been white-labeled by leading international carriers and service providers including Bouygues France, Orange Israel, Vodafone Romania and Telegate Germany. SpotOn GPS addresses a wide range of end-users with access to international local search databases, and text and voice prompted instructions in some thirteen languages and more being added constantly. "Early evidence suggests location-based advertising, or LBA, yields significantly higher conversion rates with direct response modes, such as click-to-locate and click-to-navigate, compared to non-location-based advertising," says ABI Research practice director Dominique Bonte. "LBA and navigation are a winning combination, mutually reinforcing each other. For the end- user ad-funded navigation represents a highly valued balance between exposure to advertising and access to reduced-cost, or potentially free, navigation, thus driving adoption of both." Affinity groups, such as airline mileage rewards programs, shopping clubs or travel clubs, can offer search listings of their inventory, suppliers, and partners. For instance, a mileage program can list restaurants or hotels that offer their customers extra mileage incentives. The mileage program member may decide to view hotels on a map, receive coupons, offers and advertisements; click-to-call; connect to a website to see rates and book nights; and click-to-navigate to the business's location. SpotOn GPS has many other applications and use cases. For instance, a large retailer may brand the application to always show its locations on maps, provide special offers that are regionally or outlet-specific, highlight certain vendors, and display loyalty messages. Other customers, such as wireless operators, may opt for third-party advertisements that SpotOn GPS offers as a bundle. A turn-key solution, SpotOn GPS is designed for fast deployment and easy operations, with service launch within sixty days of contract signing. The SpotOn GPS platform is tailored for delivery to U.S. customers by TechnoCom under license from LocatioNet, an innovative leader in mobile advertising and navigation applications for wireless carriers and service providers throughout the world. Local search is provided by U.S., international and sponsored sources that link user search activities to revenue producing transactions. 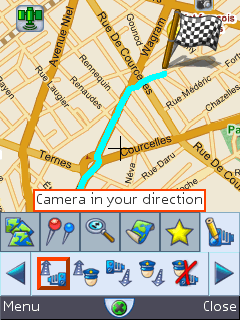 Worldwide rich mapping options include street maps, 3-D map views and satellite images. Location-specific traffic and weather are also offered. SpotOn GPS provides a number of flexible revenue models that can include subscriptions, premium content fees and advertising transaction fees. TechnoCom Corporation is a leading provider of products and services that enable its customers to efficiently utilize, optimize and manage location solutions. TechnoCom helps implement wireless location networks and services, reduce operating and capital costs, deliver superior levels of service, increase productivity and rapidly deploy new revenue-generating services. In addition to SpotOn GPS, the company's products include LX Server and LocationAssurance Manager platforms that allow efficient implementation of wireless location solutions and empower customers with continuous, automated oversight into location system performance. Founded in 1995 and privately held, TechnoCom has been selected by Deloitte as one of the 50 fastest-growing technology companies in Los Angeles for four consecutive years. TechnoCom's customers include Alltel Wireless, AT&T, Cricket, Openwave, Sprint Nextel, TELUS, T-Mobile and Verizon Wireless. For more information about TechnoCom, please visit our website at www.technocom-wireless.com or go directly to the SpotOn GPS website at www.SpotOnGPS.com. With a track record of over 18 years in the field of location-based services, LocatioNet is best positioned to re-define the navigation and local search market. The off-board navigation service developed by the Company is based on LocatioNet`s Patented LBS middleware, best of its kind GIS engine, advanced client-server technology and a unique Location-based ad-server. For more information visit www.locationet.com. New York, March 2nd, 2009. amAze, the off-board mobile navigation service was announced as winner of the `Product of the Year 2008` award conducted by smartphone-biz.news. With 41 per cent of the nominations, amAze was declared as `the clear winner` amongst several mobile leading applications. amAze has carved out a strong position for itself with its wide coverage of maps, including aerial photo in Europe, North America, Australia and parts of Asia and Africa. In collecting the most votes amongst the readers of smartphone-biz.news, amAze also got some strong endorsements from readers who universally praised the service for its features and usability. One user described it as an `amazing free GPS tool - kicks dust into the expensive and cumbersome to update Garmin and other GPS services`. Another said it was `just as good, if not better, than pricey GPS programs`, while someone else said the GPS navigation `looks really great...and is FREE. It doesn`t get any better`. To view the `Product of the Year 2008` award results click HERE. With a track record of over 18 years in the field of location-based services, LocatioNet is best positioned to re-define the navigation and local search market. The `amAze` service is based on LocatioNet`s Patented LBS middleware, best of its kind GIS engine and advanced client-server technology. `amAze` is provided as a fully hosted and white labeled service to mobile carriers, yellow pages vendors and other large brands and content providers. amAze can be downloaded for free from www.amazegps.com or directly from a mobile browser http://wap.amazegps.com.